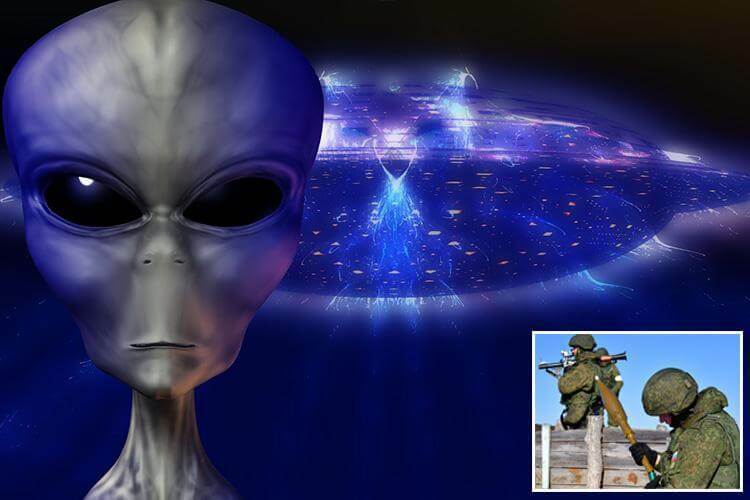 A TOP secret CIA report claims a troop of Russian soldiers gunned down a UFO only to be ‘turned into stone by the surviving aliens’. The declassified document includes allegations 23 soldiers were killed by five ETs from the flying saucer after a deadly encounter in Siberia in 1993. The document – which can be found on the official CIA website – is a translation of a report from a Ukrainian newspaper. The newspaper reports of a 250-page KGB dossier on the UFO attack, which included pictures and witness testimonies, reveals the Daily Express. The report stated the flying saucer had appeared over a military unit training in Siberia. One of the soldiers is then said to have taken it down with a surface-to-air missile. Just two soldiers are said to have survived the encounter. The report claims five beings emerged from the crashed craft and the joined together to form a ball of light which then exploded turning 23 soldiers ‘into stone’. The report reads: “The KGB report goes on to say that the remains of the ‘petrified soldiers’ were transferred to a secret research institution near Moscow. A CIA representative stated at the end of the report: “If the KGB file corresponds to reality, this is an extremely menacing case. It is not explained in the document why the CIA held a translation of the Ukrainian newspaper report on file.